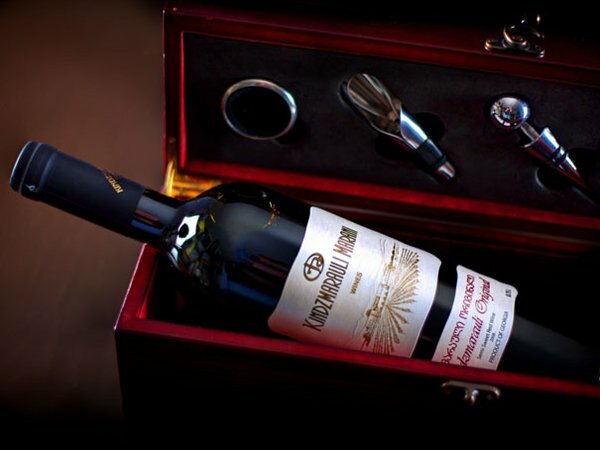 The Russian Federal Service on Customers' Rights Protection and Human Well-Being Surveillance (Rospotrebnadzor) gave the "green light" to two Georgian producers to supply wine to Russia. The two wine manufacturers are Kindzmarauli Marani and Dugladze Wine House, Interfax news agency reported. Georgia and Russia, its giant northern neighbor, have maintained no diplomatic relations since a brief war in 2008. Tbilisi broke off relations with Moscow in August 2008 when Moscow crushed a Georgian assault to reassert control over the two rebel regions -- South Ossetia and Abkhazia -- and later recognized the breakaway regions. Georgia announced the two unrecognized republics as occupied territories in September 2008. Russia banned imports of Georgian wines and two popular brands of mineral water in 2006, citing poor quality of the products, in a move widely condemned in Georgia. In late 2012, Russia expressed willingness to start talks on the resumption of the Georgian goods' supply. The issue was considered during a Moscow meeting on Feb.4 between a Georgian business delegation and Russian consumer watchdog Rospotrebnadzor. After the negotiations, both sides stated that the embargo on the Georgian products could be lifted in spring. "The question has been fundamentally resolved. They are allowed to prepare industrial batches," Head of Rospotrebnadzor, chief sanitary doctor of the Russian Federation Gennady Onishchenko said. According to Onishchenko, more than 40 samples of alcoholic beverages of the two companies have been registered in Russia. Furthermore, Rospotrebnadzor plans to register other Georgian wine and mineral water companies' productions in the near future. The consumer watchdog has already approved list of the Georgian companies to which the Russian inspection will pay the second visit next week. "Basically they are the wineries in western Georgia and Adjara," Onishchenko said. "The three groups identified that will travel to Georgia on April 1. They'll come back on Friday." Rospotrebnadzor is coordinating the details of the trip with the Russian Foreign Ministry. "We expect from the Georgian government the assurances that they are ready to receive and ensure our security," Onishchenko stressed. Rospotrebnadzor experts' first visit to Georgia took place from Feb. 25 to March 1, following which 36 enterprises producing alcohol and four producers of mineral water were able to register their products for sale in Russia.